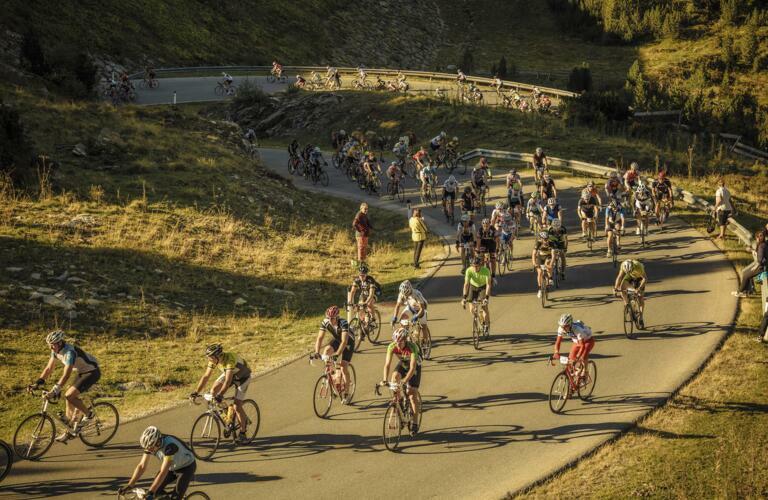 The Ötztal Bike Marathon is without a doubt the highlight of the cycling season in Tyrol. 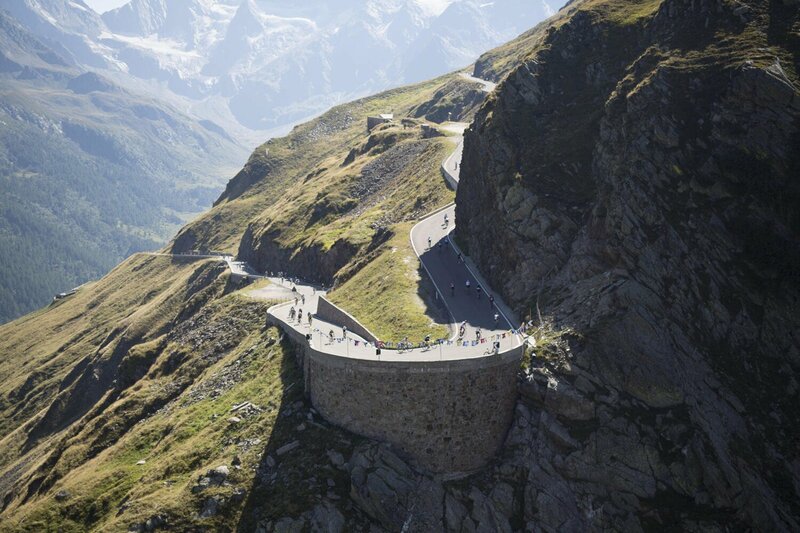 On 02 September 2018 thousands of brave riders will attempt to tackle one of the toughest one-day courses in the world, cheered on by crowds of spectators lining the route which starts and finishes in Sölden. Tens of thousands of hopeful hobby athletes try every year to get one of the 4,500 places on the start line to take on the 238km course with a brutal 5,500 vertical metres of climbing. As one of the official partner hotels of the Ötztal Bike Marathon we offer accommodation and service worthy of champions – and a guaranteed place in the event. The race begins just a few metres from our front door! Early in the morning on 02 September 2018 a group of 4,500 riders will set out from Sölden on a mission to overcome not one, not two, not three but four alpine passes. 238 kilometres. 5,500 vertical metres. 4,500 riders. Sölden (1,377m) – Längenfeld – Umhausen – Ötz (820m) – Kühtai (2,020m) – Kematen in Tirol – Völs – Innsbruck (600m) – Matrei am Brenner – Steinach am Brenner – Gries am Brenner – Brenner (1,377m) – Sterzing – Jaufenpass (2,090m) – St. Leonhard im Passeiertal – Timmelsjoch (2,509m) – Sölden (1,377m). As one of the official partner hotels of the event, we offer a series of training weeks to help riders reach top form befoe they take on the ultimate challenge. Riders who take part in these training weeks receive a guaranteed place on the start line at the Ötztal Bike Marathon.